August 31, 2018 update – Congratulations to the First Nations and ecological activists on the West Coast and across Canada on the KM shutdown! 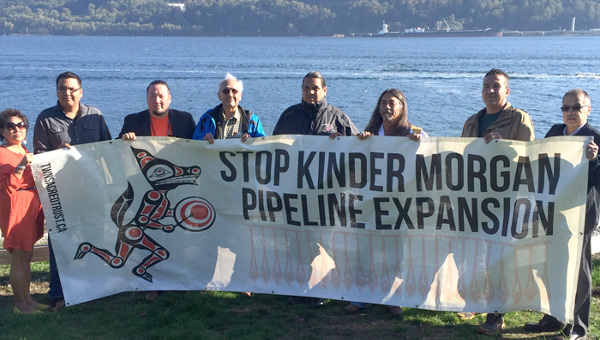 Thousands have been pouring onto Vancouver streets, as well as protesting across Canada, against the proposed Kinder Morgan pipeline. Prime Minister Justin Trudeau has been attempting to square the impossible – expanding oil sands production and building pipelines while addressing climate change. The governments of BC and Canada have ignored these issues, as well as wider questions about First Nations consultations and sovereignty claims, already in the cases of the Pacific Northwest LNG, Woodfibre LNG and the Site C Dam in BC. The recent Liberal announcements of ocean protection funds and carbon taxes are partly political dodges as they continue on with Harper’s plans to make Canada an energy super-power based on fossil fuels. 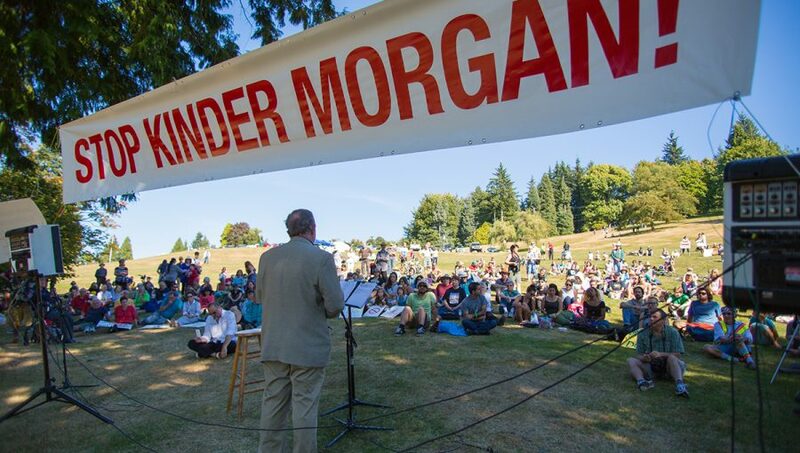 Kinder Morgan is in line for approval, even as the arctic ice melt reached frightening levels, extreme weather events become commonplace and the climate change crisis deepens. Political activism around climate change, from Standing Rock to Vancouver to innumerable cities across North America, is growing. 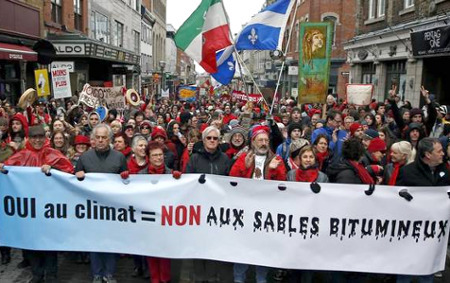 Another failed climate meeting in Marrakesh this month and the climate denialists surrounding U.S. President Donald Trump have given these struggles added urgency in themselves and in the solidarity linking them to other social justice struggles. 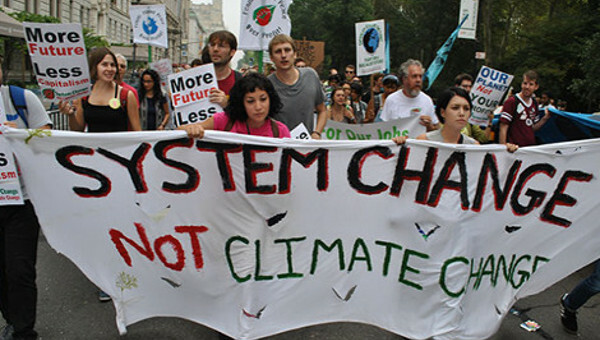 No need to even invoke the necessity of an eco-socialist political project as it is where all alternatives are pointing. Revolution in a warming world.